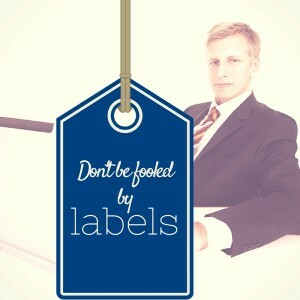 Don't be fooled by false labels: Branding Expert defined. Being in branding and marketing these days is both exciting and frustrating. 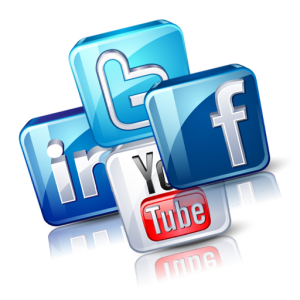 Exciting because it is an ever growing field with more marketing channels and branding opportunities than ever before. Frustrating because with the expansion of the field anyone and everyone can and will declare themselves an expert. Whether it’s a marketing expert, a branding expert, or a social media expert… The last few years have made it difficult to find a legit “expert” period. What is a branding expert? Note: I do not claim to be a branding expert. I do though, work for one. I know the argument: The field of marketing and branding continues to evolve. With the rise of social media marketing, video marketing and the significance of branding online, it can be and has been argued it’s the Wild Wild West of marketing. Anything goes. Anyone who finds some sort of branding tactic that works is an expert simply for the fact that they found something that works. So why do I demand that branding experts actually fit the definition, have training or experience? Just because channels change and certain behaviors change, it doesn’t mean that fundamentals change. One of the aspects of communication that has fascinated me from the beginning is that communication research continues to abound, questions continue to lead to more questions… But the basic communication process remains the same. It’s still about people and what they’re looking for. It’s still a transactional process. There’s still a sender and receiver of a message. The message still goes through a channel and is still distorted by noise. Though the channel changes, the sender and receiver change, the noise changes… The process remains. True creativity isn’t random or even ‘inspired.’ It’s thoughtful choices based on essential principles of human interaction, human communication. Thoughtful choices based on essential principles learned through experience and/or training. I’m saying try them with purpose and with someone who understands your overall marketing and branding strategy. If someone is pushing you to use a specific tactic, such as a selected social media channel or video marketing or podcasting without first understanding your current marketing strategy or worse, without understanding your brand, they aren’t a branding expert. It’s possible they aren’t even really marketers. They may have just been in the right place at the right time and know how to use the technology. Anyone can call themselves an expert. It’s up to us to do our homework and figure out who really fits the definition. I know. The last thing any business owner needs is homework. But today it’s easy to fake credibility, to make false claims, so we must do our homework. We need to ask for examples of their work. We need to ask if what they’re proposing is in line with the fundamentals of marketing and fits this business and these particular audiences. And we must ask if the means fit the expected outcome (note: Expectations, goals, audiences, and more should be discussed with whomever you’re hiring so you’re both on the same page). Ready to review the marketing fundamentals? Read about 5 essential communication strategies. Jennifer walks you through 5 things you must consider when developing your marketing and branding strategy. Do you agree? Need a place to vent? Or think I’m being too harsh? Tell me in the comments!